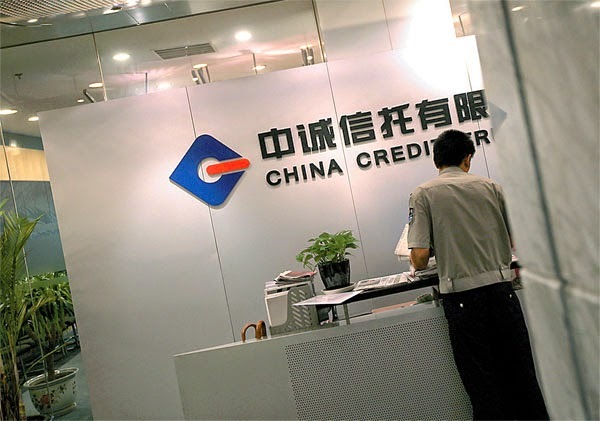 China Credit Trust Co. in March terminated its product for Nonggeshan Pb&Zn project, valued at 140 million yuan ($23 million), ahead of the due date at the end of May, DZHnews.com reported today. 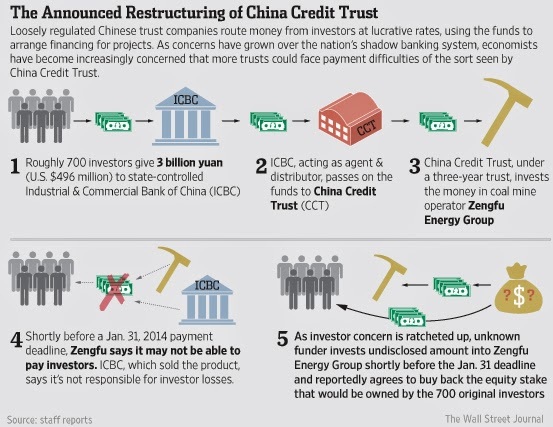 The termination, which would be considered as China’s first trust product default, was due to inflated evaluation, production halts at the mines and risky usurious loans involved, the report said. China Credit Trust issued the product in August 2011 to acquire a 99% stake in Sichuan Nonggeshan Polymetallic Mining Co. and to develop the Nonggeshan Pb & Zn project, it said. In an annual report on the nation's financial stability in late April, the People's Bank of China said some high-risk investment products should be allowed to fail ``natually'' and investors cannot assume a cast-iron guarantee.